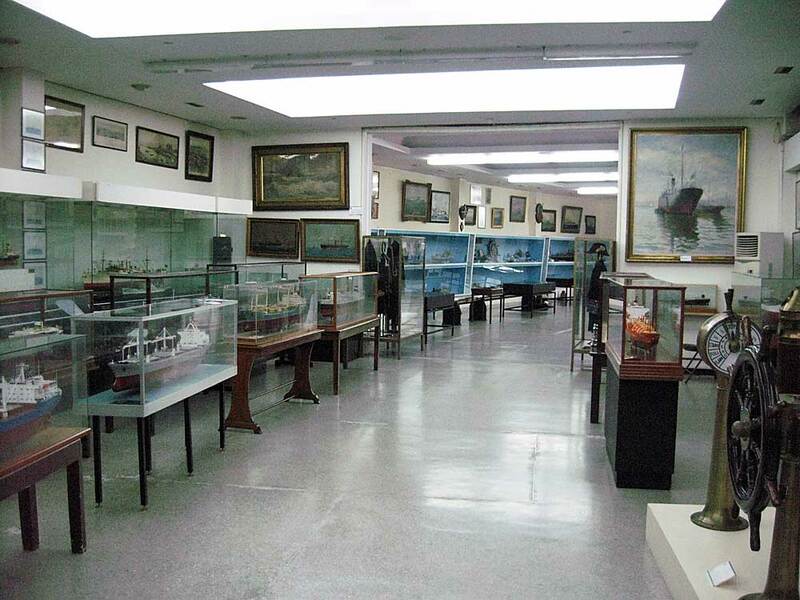 This fairly small but interesting museum can be found at the Zea Marina in Piraeus, a few kilometres from the main port. 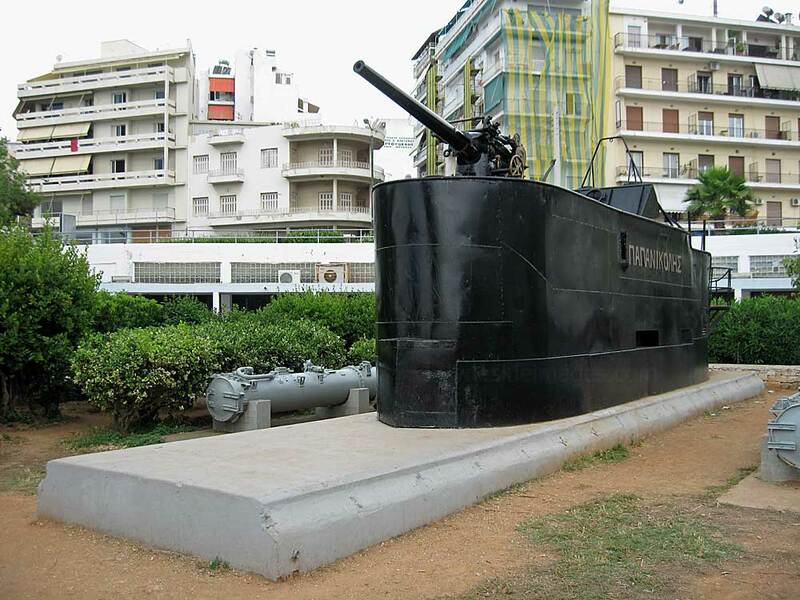 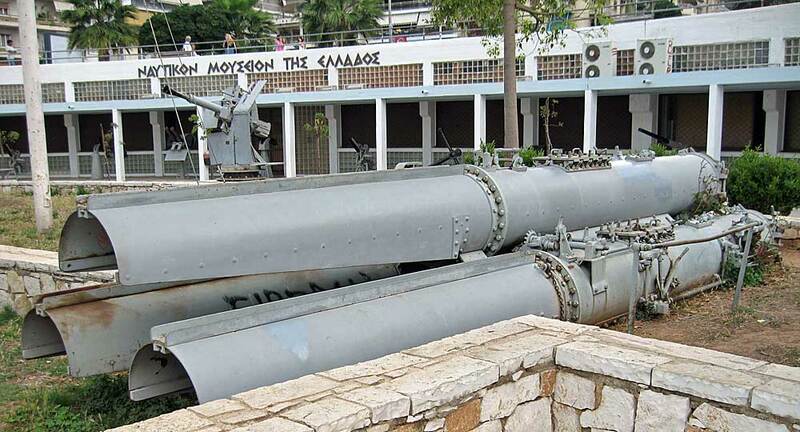 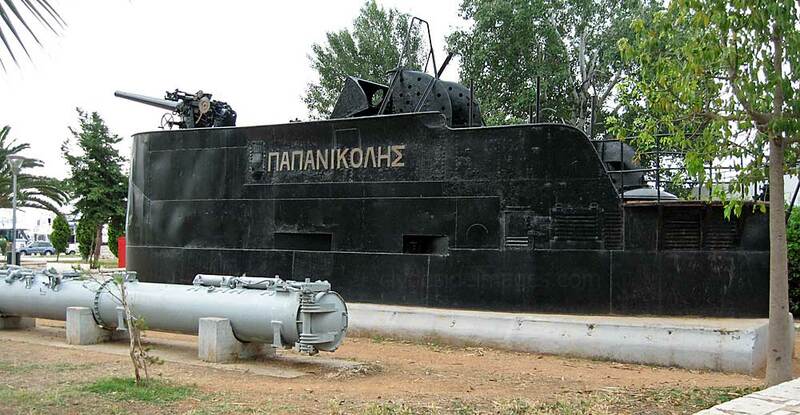 Lying close to the waterfront, its location is unmistakable as the conning tower of the Greek Navy submarine Papanikolis lies outside the entrance. 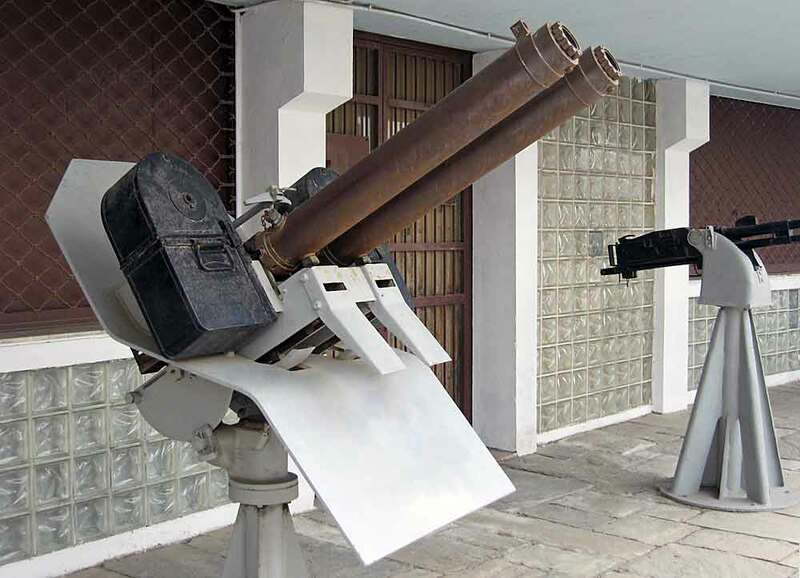 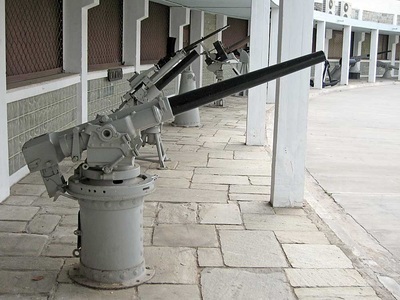 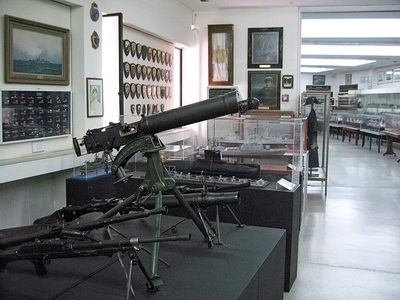 There is also a selection of naval guns, torpedo tubes and range-finding equipment displayed along the length of the building`s exterior. 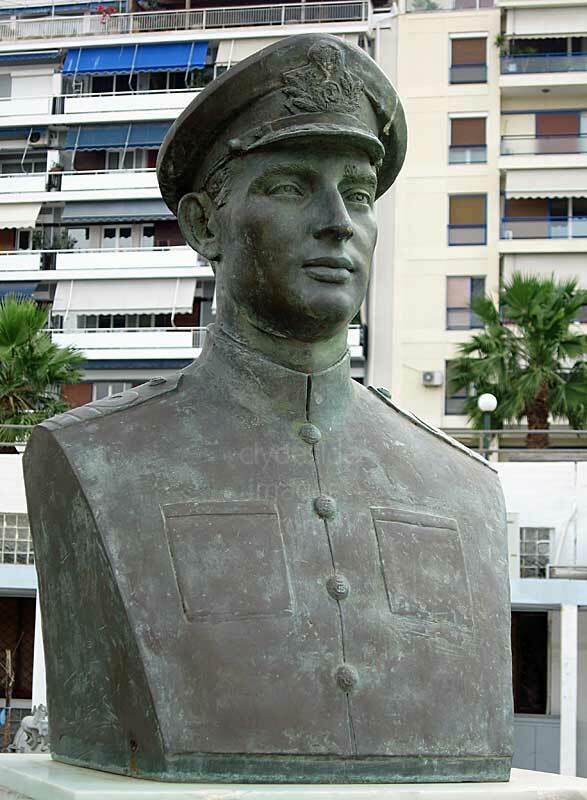 ​Papanikolis survived the war and returned to Greece after liberation in October 1944. Built in 1927, she was by then severely outdated and was decommissioned in 1945. 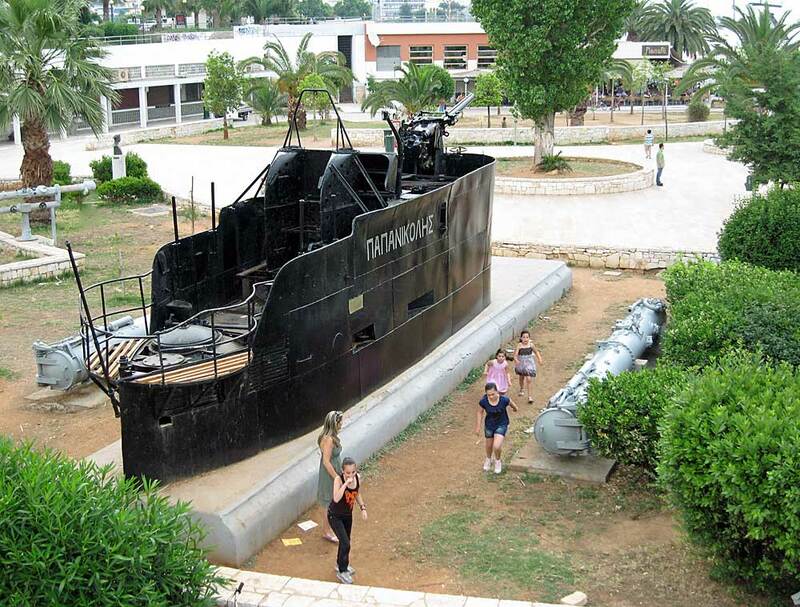 ​Local kids assume that the section of the famous submarine is an extension to the adjacent play park and have discovered that a conning tower makes a highly attractive climbing frame! 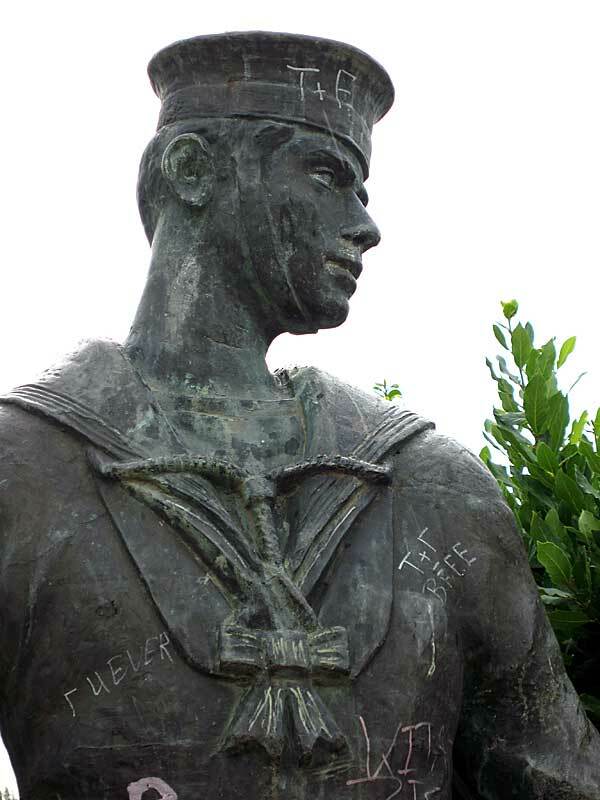 The Sailor statue outside now acts as a canvas for the local graffiti artists and ​I assume that the bust on the right is of a famous Greek Admiral but I couldn`t translate the inscription on the base. 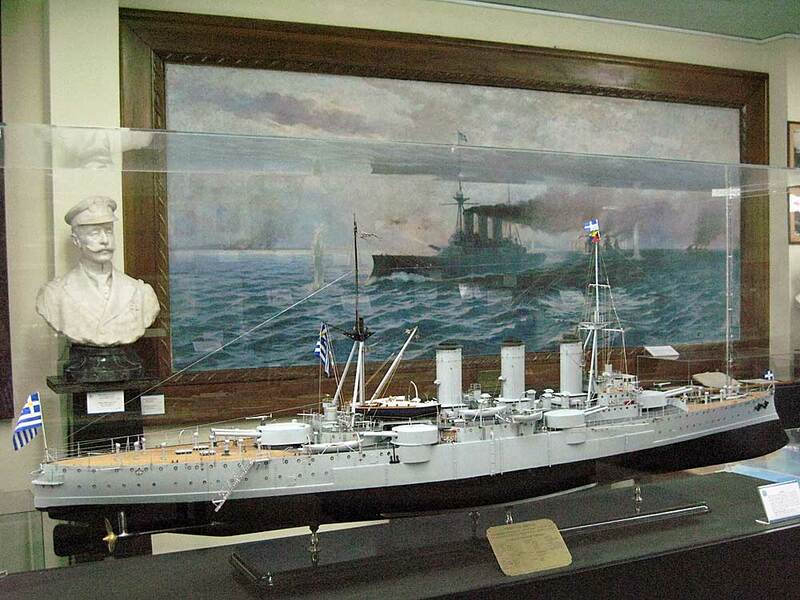 Like most museums in Greece the opening hours of this one are limited and I only just managed a quick look round before it closed at 1400 hrs. 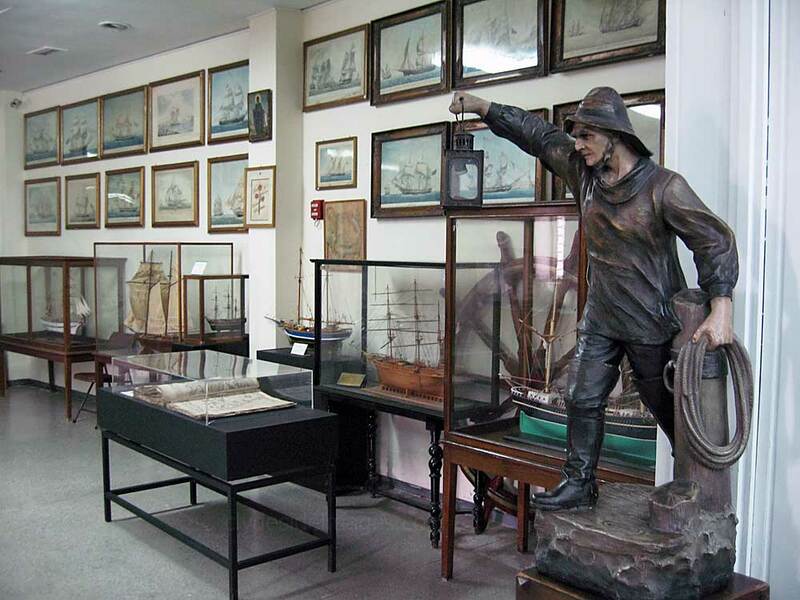 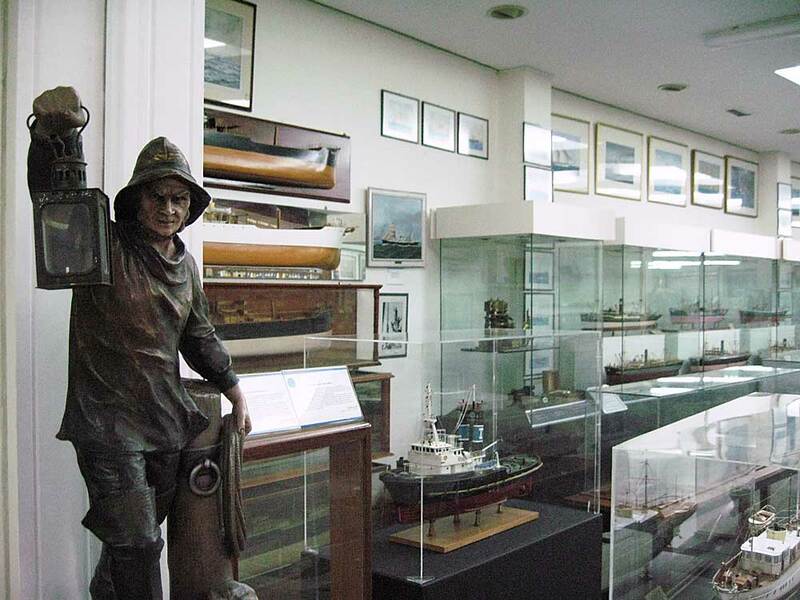 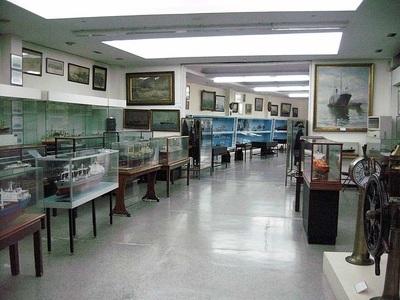 Crammed into the museum’s nine halls are 2,500 objects with relics, models and paintings covering all aspects of Greece`s maritime history from ancient times to the present day. Naval and merchant marine vessels are represented. 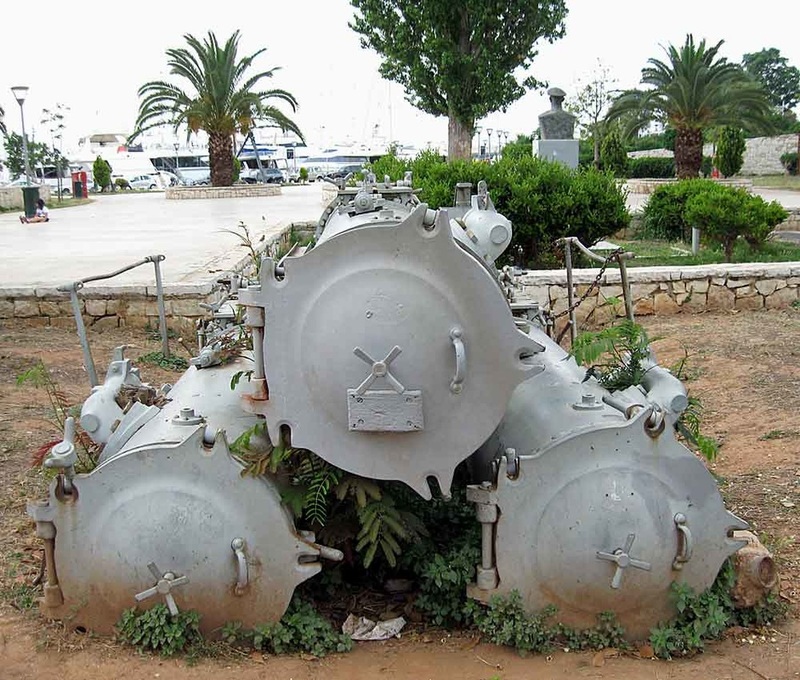 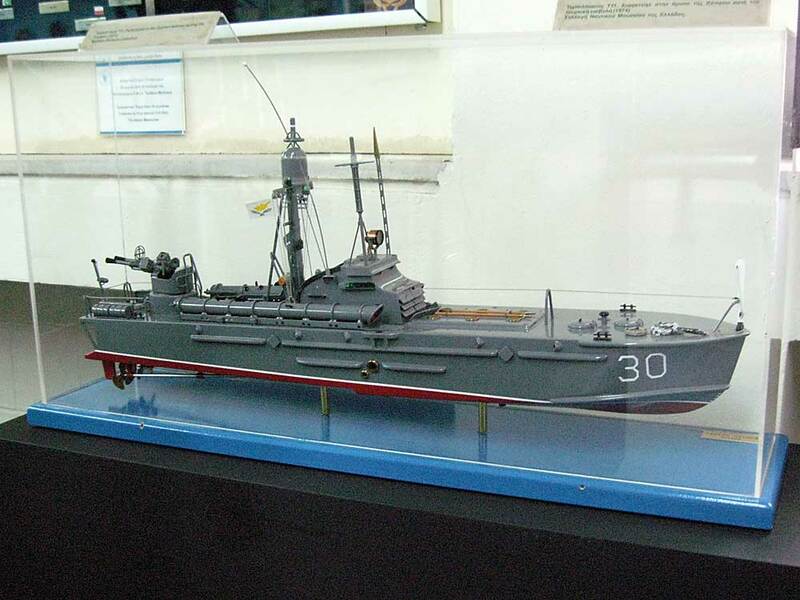 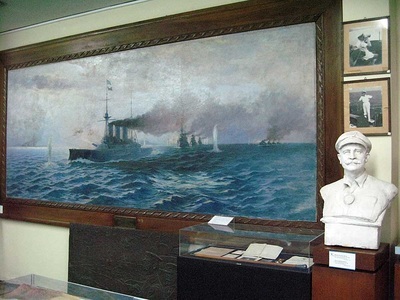 One section tells the story of the Greek Navy`s famous Battleship, the Averof, which has been preserved and is on display along with several other vessels at the Greek Park of Maritime Tradition further along the coast.